I JUST seeded my leeks this past weekend, which I later found out was to late. But I also read that they are a good cold weather crop, so if I plant them once the pop up, won't they end up being big by the fall? Also, they seem to be taking a while to pop up, I don't have any peeking through yet. I started germing them on Sunday. Am I being to antsy or are they just slow growers? Thanks guys! I know I have alot of questions, but I just can't resist trying new things! I'm not certain on this, but won't the high heat force then to go to seed? I do believe Leeks are considered cold weather, but they will tolerate some heat. I planted some last year in the spring, and they were ready in November. 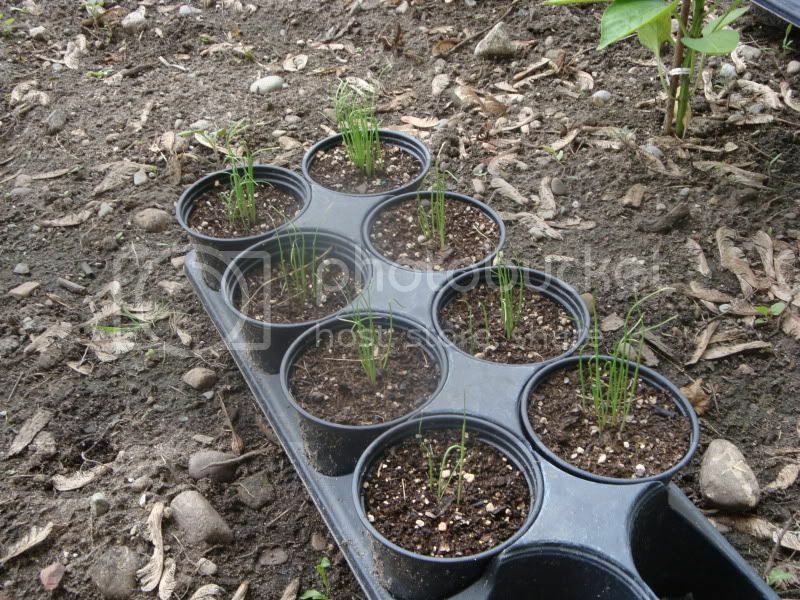 I also planted Leek starts in April, and they will be pretty big by the fall. I tend to buy Leek starts because Leeks take forever to grow. Also I buy my leeks starts online because they are a lot bigger than anything you can buy in stores. I don't bother starting them from seed. Yeah, I realize I'm probably way to late to make them work, but now that they're going I may as well see what happens. I'm somewhat hoping that if they start now, they'll finish in cooler weather..? Can you have a late leek crop? I guess I'll find out! I have never grown leeks, so I have no experience to draw on. But they are in the same family with garlic and onion, both of which overwinter. So I would suggest if your leeks aren't well developed by the time winter comes (pretty likely with the late start) just leave them in the ground. They will probably overwinter and start growing again in the spring. It will be interesting to see how they do. I like to try something new each year. One never knows, we might discover something that works and we really like. Leeks are probably like onions in that you can use them at any stage in their development. I assume too that the whole plant is edible. I have never tried Leeks myself. Maybe something for next year? Keep us updated on how they do. It'll be interesting to see the results since they will be grown somewhat late in the season. Here is a picture of my baby leeks. Keep your fingers crossed for them! leeks take time. I start my seeds in Jan to set out in May. something no one has noticed . . . leeks are biannual. they grow in season one but don't set seed until season two. started in Jun 2010, I suspect they won't start going to seed until 2012. This is my first year growing leeks too but I sowed them in march/April and planted them outside at June/July. They are quite slow growers and I found that they take about 14-18 days to germinate and I have seen in many books and websites that they take about 40-45 weeks from sowing to lifting. If you plant them in march they should be able to lift from late october/November to late March/April. I'm not sure how much this will help but it may in the future! What's going on with my leeks?